Mark your calendar and tell your friends. Please consider a donation to keep this website ad-free and support my work on preserving the Street Rod games. Thanks for pointing this out, it should be fixed now. I’ve got rent due the same day but I swear if I have any leftover I’ll donate! Im able to play SR1 + SR2 without dosbox in xp so i would imagine this one will work the same. But worst case scenario you can alter the dosbox config so it will launch SRSE just by opening dosbox. The only reason i use dosbox on my pc is so i can play in a window. Another way you can use dosbox with ease is to download and use dosshell.exe, just have it bootup when u launch dosbox, its like windows explorer for dos. Last option, you can also use dosshell-portable in xp, it lets you create shortcuts with icons, you just open it then it launches dosbox for you. I think the last one is easiest. Hope that helps. amiga disks ? or pc? download link? downloaded street rod SE and extracted files. clicked application, prompt box said I am running an incompatible version of windows. Can someone help me get this classic running? 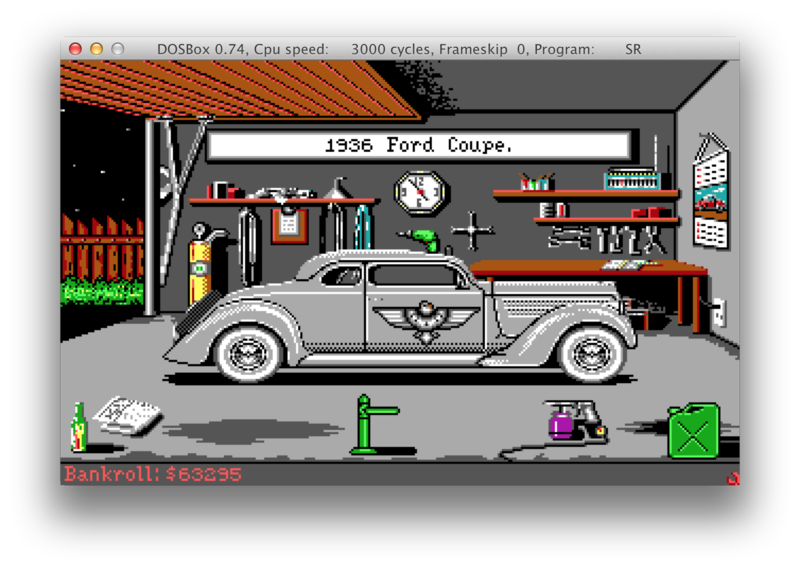 Like Pelikan said, you can use DOSBox to play Street Rod SE on modern computers, see the quick guide. How many drag races and how many road races does one have win to be able to challenge The King?